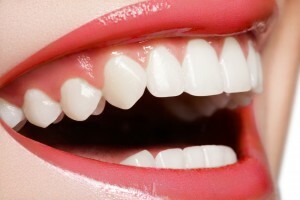 When you think of gum disease, what’s the first thing that comes to mind? Most likely, the words “periodontal disease” evoke images of bleeding gums and even missing teeth. While it is true that untreated gum disease is the leading cause of tooth loss in adults, this common condition can result in a variety of other lesser known complications. At Joe Isaacson Dental in Oklahoma City, OK, we treat our patients with laser periodontal therapy to help maintain not only their oral health, but their overall health as well. Fortunately for patients affected by gum disease, treatments like laser periodontal therapy at Joe Isaacson Dental drastically diminish the chances of developing these potentially life-threatening conditions. If you or someone in your family suffers from periodontal disease, it isn’t too late to seek help and protect yourself from future health problems. Contact our office in Oklahoma City, OK today to schedule your appointment and ask about laser periodontal therapy. This revolutionary technology is more gentler and more effective than traditional gum disease treatment and patients love that they heal faster with less discomfort. We can’t wait to show you how simple it can be to reclaim your smile and your overall health. Dr. Isaacson and his team also serve patients from Edmond, Mustang, Yukon, Piedmont and the surrounding communities.